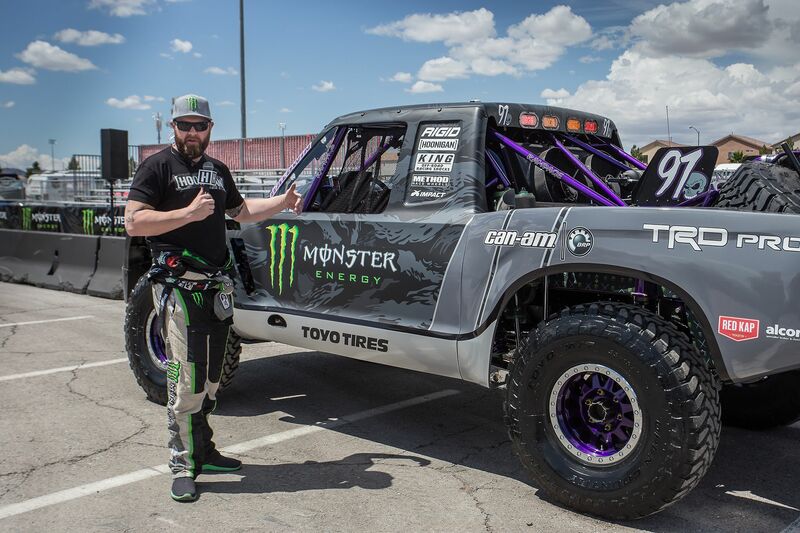 BJ Baldwin is one of the more well-known professional offroad racers in the world with his affiliation with Monster Energy and the incredible Recoil videos he released. Or maybe it’s because he has won some of the biggest races in desert and is always a threat to win, you take your pick. For quite some time now he has been behind the wheel of a “Chevrolet Silverado” trophy truck but that has recently changed. 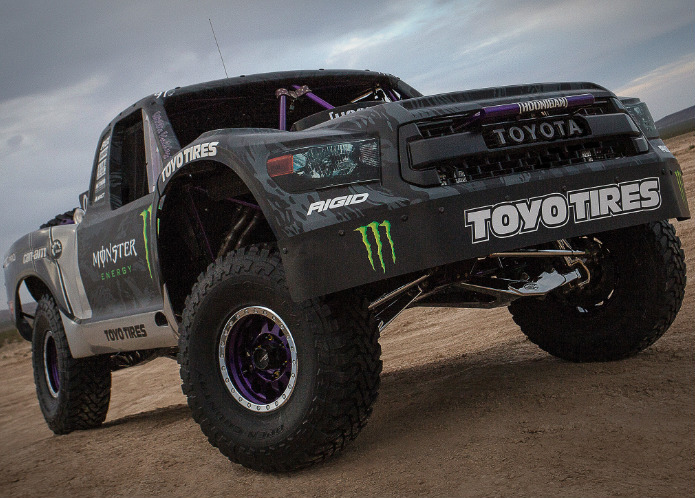 In a recent press release it was announced that Baldwin would now be a driver for the Toyota Offroad Racing team. BJ will follow in the footsteps of his idol, Ivan “Ironman” Stewart, by getting in the drivers seat of a Toyota trophy truck. 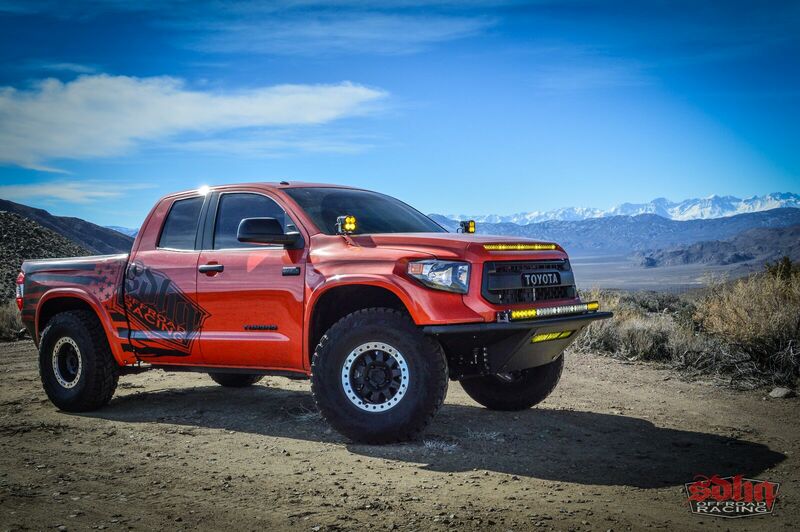 Based off the Tundra, well it at least has Tundra naming, because lets be honest there most likely isn’t a single part of a stock Tundra on this badboy anywhere besides the badging. Even though I’ve been brought up as a Chevy fan and was sad to see BJ leave, that new Toyota looks so badass. 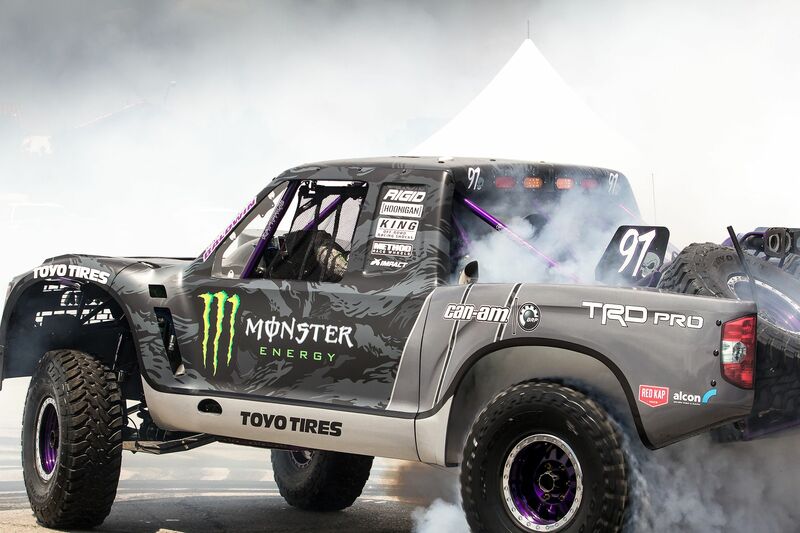 It appears as if he will be keeping most of his other main sponsors like Monster and Toyo Tires. I’ve searched for any detailed information about the differentiation of the two trucks but have been unsuccessful at doing so. Toyota hasn’t been in the offroad racing world for a long time now but they are obviously planning a major comeback by scooping up a high class driver like Baldwin. What I am hoping for is that maybe this is a glimpse into the future where Toyota releases something along the lines of true competition to the Raptor! 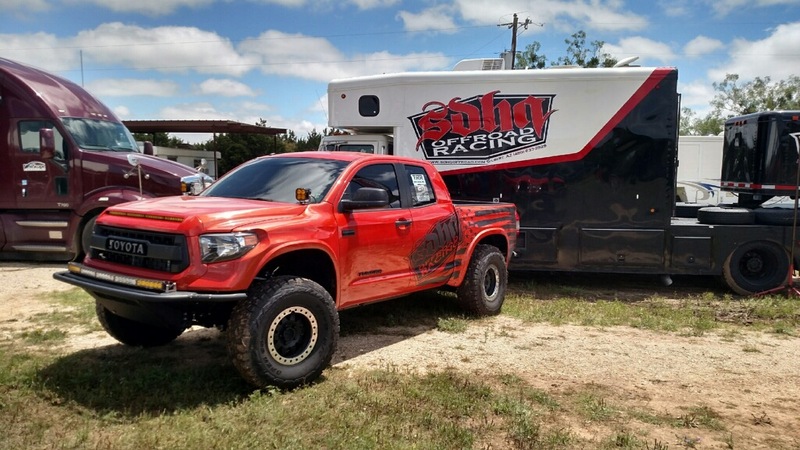 We saw a gorgeous Tundra that had been put together by SDHQ OffRoad at this year’s Texas Raptor Run. 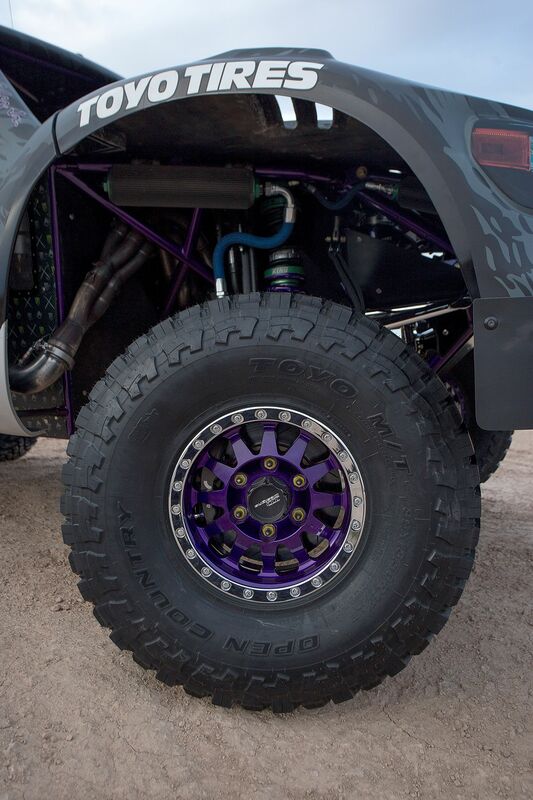 This thing was no joke, built using the best aftermarket parts available from some of biggest names in offroad racing like Camburg, ICON, and Method race wheels. It drew a bigger crowd than the 2017 Raptor that also was there. Please Toyota, make something like this! 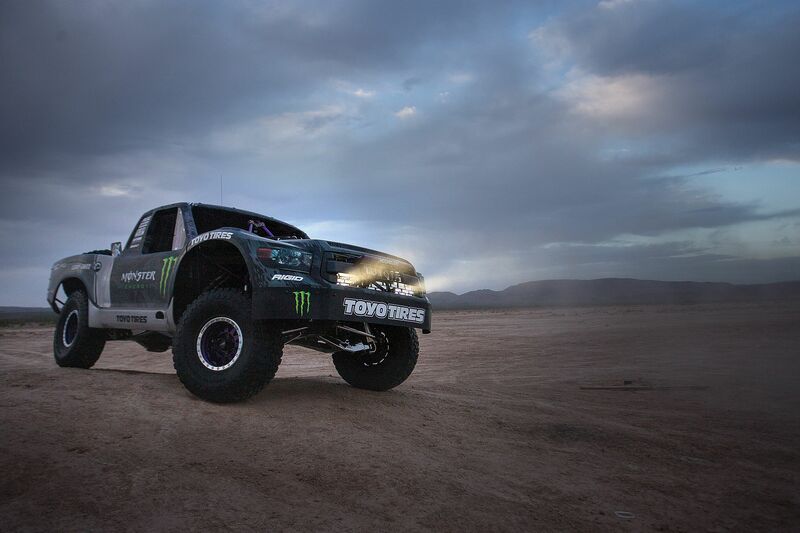 BJ didn’t have the best first outing in his new truck last week at the Baja 500. Due to an abnormally hot day, he was forced to pull out of the race when he suffered from mild heat exhaustion, to the extent that there were photos of him strapped up to oxygen tank on Instagram. Now that is really saying something considering that Baldwin has done the Baja 500 as well as the 1000 multiple times as a solo driver, one of the very few drivers to do this. Well this is embarrassing. Sorry everyone. Baldwin will be working closely with Ivan Stewart for this year’s racing season and plans on racing in the Baja 1000 and potentially one other big race, most likely the Vegas to Reno in August but that has not yet been confirmed. One other bit of information to look forward to is that BJ has a Recoil 4 planned with the new truck scheduled to drop some time in November. You can see his previous installments of Recoil here. We are really exited to see what this new relationship with Toyota will bring, both on and off the race course.